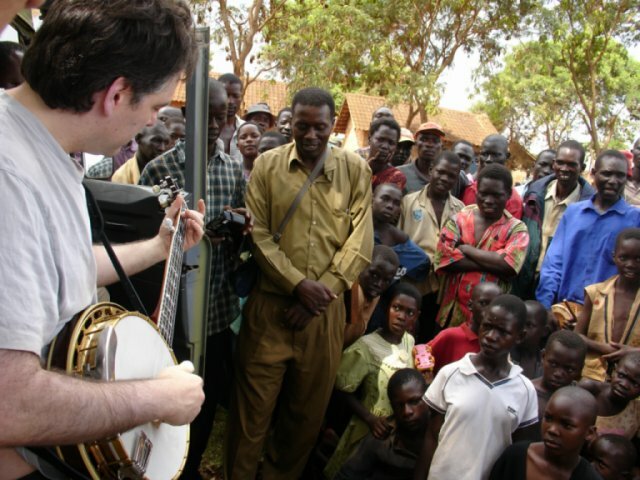 “Throw Down Your Heart” follows American banjo virtuoso Béla Fleck on his journey to Africa to explore the little known African roots of the banjo and record an album. It’s a boundary-breaking musical adventure that celebrates the beauty and complexity of Africa – an Africa that is very different from what is often seen in the media today. both the documentary and the disc of Throw Down Your Heart justify their existence independently‚Доand rather beautifully. demonstrates that no other language is needed when two people sit down with their instruments and make them sing. You'll just have to hear it for yourself.